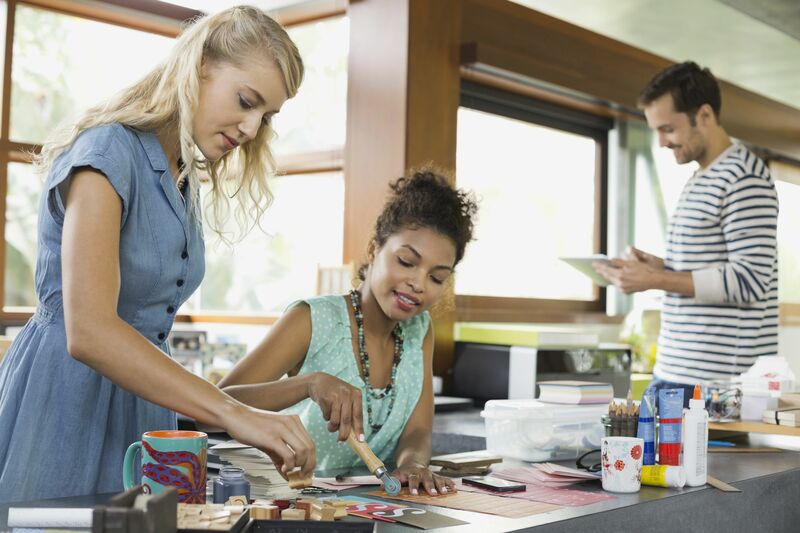 Do You Have What It Takes To Be a Successful Craft Entrepreneur? Despite these dismal results, many people still want to try reaching the entrepreneurial dream. Successful entrepreneurs have several qualities in common that help them get ahead and stay ahead.Check out this list to see if you have what it takes. How many of these traits do you possess? People who are successful in the businesses world exhibit self-reliance. When things go wrong, as they often will, successful people take the blame and do whatever they can to correct the problem and move on. They don’t blame their mother, the economy, their childhood, etc. for their current business challenges. They assess the situation, make a plan for change, stick to it and move forward. They do not feel sorry for themselves when things go wrong or hold petty grievances towards others. The successful craft business owner knows that the one and the only reason he is successful is because of his customer. He puts the customer first and foremost when considering his business goals and needs. You may have the best and most beautiful craft items in the world, but if no one knows about them, you will never succeed. You cannot be shy when promoting your products to the world. It is mandatory to attend trade shows, business events, and craft fairs when you want to get the word out about your products. Having your own website is a must. Don’t forget social media as well. To build relationships with potential customers, make sure you also post on Twitter, Facebook, Pinterest, and Instagram. There is power in a group! Join with other craft business entrepreneurs to share marketing tips and tricks. You never know, you may make lifelong business partnerships and friendships in the process. Everyone has fears; that is a fact of life. The successful business owner, however, can face his fears and overcome them. He does not give up when the going gets rough but confronts his fears and problems head-on. He can admit when he has made a mistake, accept responsibility and move on. He has the ability to not dwell on past mistakes. He does not let past mistakes affect his outlook today. Business owners that are successful are focused people. They are hard workers who set goals and work until they achieve them. They do, however, have the ability to change course when they see a particular path isn’t working. They can admit defeat when necessary and reorganize their goals and vision when circumstances warrant it. Truly successful people are often humble and able to suppress their ego, even though their accomplishments would warrant Diva style behavior. Successful people can get along with others and often help those below them in the pecking order bring out the best in themselves. The accomplished person will not be threatened by the achievements of others.They will hire people that are smarter and better skilled than they are. They understand the concept "to lead is to serve." Successful people make it their mission to help those below them have the necessary tools, and education available to be able to perform the best job possible.They help their employees become the best version of themselves. The successful craft entrepreneur will make the highest level quality product, to the best of his abilities. He will be honest and fair with his customers. He sells his products at a reasonable price and, has an excellent reputation for the quality of his work. If you follow these 7 steps, the chances are good that you will not be one of the eight percent that fails when becoming a craft entrepreneur. Let's be part of the twenty percent!